AIDF is dedicated to bringing arts supporters together, cultivating new audiences via an immersion experience into the world of dance, and gathering the most highly talented international artists to share and develop their art form. 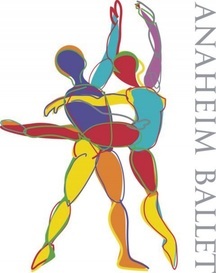 AIDF is presented by Anaheim Ballet and Chapman University, in association with Youth American Grand Prix. ANAHEIM BALLET's mission is to enlighten and entertain audiences with classically rooted programming and contemporary presentation. AB provides quality performances to audiences of balletomanes as well as novice ballet-goes and acts as a haven to talented Southern California artists and as a magnet to international talents. Anaheim Ballet's Educational Outreach and Scholarship program STEP-UP! is committed to the promotion of classical ballet and providing its numerous benefits to those otherwise not able to receive them. Anaheim Ballet is the city's resident ballet company with three distinct components: a professional performing company, an academy, and a no-cost community outreach program for underserved youth. AB presents concert performances throughout Southern California and on tour in Laughlin, Nevada. The company also performs for thousand of students annually at the Segerstrom Center for the Arts, the Cerritos Center for the Performing Arts and at public schools throughout Los Angeles, Riverside and Orange counties. AB dancers are seen regularly on the internet series "Anaheim Ballet: More Than Dance..." a global podcast, which has accrues over 45 million visits to date! AB partners with numerous organizations including the Segerstrom Center for the Performing Arts, the Philharmonic Society of Orange County, the Anaheim Boys and Girls Club, Bruno Serato's Caterina's Girls Club, Fairmont Private Schools, the Anaheim Children's Festival and many other organizations throughout Orange County. Anaheim Ballet is the recipient of the Arts Orange County Outstanding Arts Organization Award and the Samueli Foundation Big Heart Award. AB's alumni are currently dancing around the globe. THE CHAPMAN UNIVERSITY DEPARTMENT OF DANCE, recently received accreditation form the National Association of Schools of Dance. The department mission is to develop well-rounded and versatile independent artists to excel in careers of teaching, choreography and performance of dance. As dance majors at Chapman, students participate in a strong professional training program with high quality productions while still enjoying the benefits of a small university. The Department of Dance has 100 active majors, 30 minors and produces five main stage productions every year. Alumni of the Department of Dance can currently be found in the Los Angeles and touring companies of Wicked. A recent Chapman graduate was featured in the film Dreamgirls, two can be seen int eh film adaptation of the musical Hairspray and two others were national favorites on the series "So You Think You Can Dance." Choreography by Chapman alumni may be seen around the country, from Disneyland to the Academy Awards! 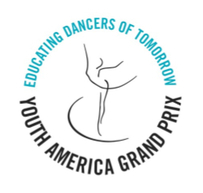 YOUTH AMERICA GRAND PRIX (YAGP) is the world's largest international student ballet scholarship competition held annually around the world and in New York City. Founded by two former dancers of the world-renowned Bolshoi Ballet, Larissa and Gennadi Saveliev, YAGP provides extraordinary educational and professional opportunities to young dancers, including opportunity to receive contracts to dance companies worldwide, scholarships to leading dance schools in the U.S. and abroad, and performance opportunities on some of the world's most prestigious stages and at dance festivals around the world. Over 200 YAGP alumni are now dancing with 50 companies around the world, including American Ballet Theatre, New York City Ballet, Paris Opera Ballet and San Francisco Ballet, among others.